Reports currently circulating the web point to a massive win for underdog processor manufacturer Via, with box shifter Dell poised to announce a new server product based around the Nano platform. As reported over on The New York Times, Dell is pegged to announce this week a new server product based around the Nano chip from Via. Aimed at the high-density server market, the new Dell XS11-VX8 – codename Fortuna – looks to pack twelve independent servers into a single 3.5” rackmountable case. Impressively, the low-power Nano chip helps each system in the case consume just 30W – a fraction of a traditional server system. 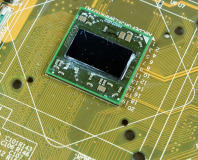 Senior director of chip marketing at Via, Epan Wu, called the deal with Dell “a big, major win” for the company – and the first major product which looks to move the low-powered Nano chip out of the netbook sector. With impressive performance-per-watt, netbook-oriented chips such as the Nano could well find a new home in the high-density server market should Dell's latest product take off. 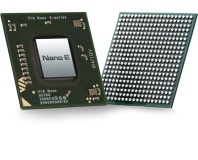 Although the Nano's lightweight performance statistics – with a clock speed of just 1.6GHz at best they're clearly not going to be beating Xeons at any benchmarks – might make it a poor fit for processor-intensive tasks, its low power consumption makes it ideal for web server applications – which is where Dell will be concentrating its marketing. Whether Via can make a splash in a market almost entirely sewn up by Intel and AMD remains to be seen, but the company is certainly going to give it a try. Do you think that packing large numbers of relatively low power systems into your rack is the way forward, or would businesses be better off buying a single high-powered system and using virtualisation technology to share the power? Share your thoughts over in the forums. 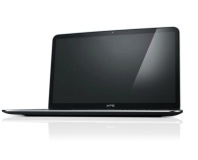 Dell has announced 'Project Sputnik,' an Ubuntu-based system image for the XPS13.